← A Small Clump Of An Island. I can look like an idiot if I want and I found this stupid hat so I’ll just put it on! Oh look at ME I’m so IRONIC! Its TINA weekend! Which in my experience is just like being involved in model railways or Doctor Who fandom in the fact that you will encounter the most wonderful people you will ever meet surrounded by the very worst people you will ever meet. My clean artwork on King Street wasn’t able to go up in time for the festival unfortunately, but it will hopefully still go up once the council have finished rebuilding the footpath in front of the spot we had hoped to install it. 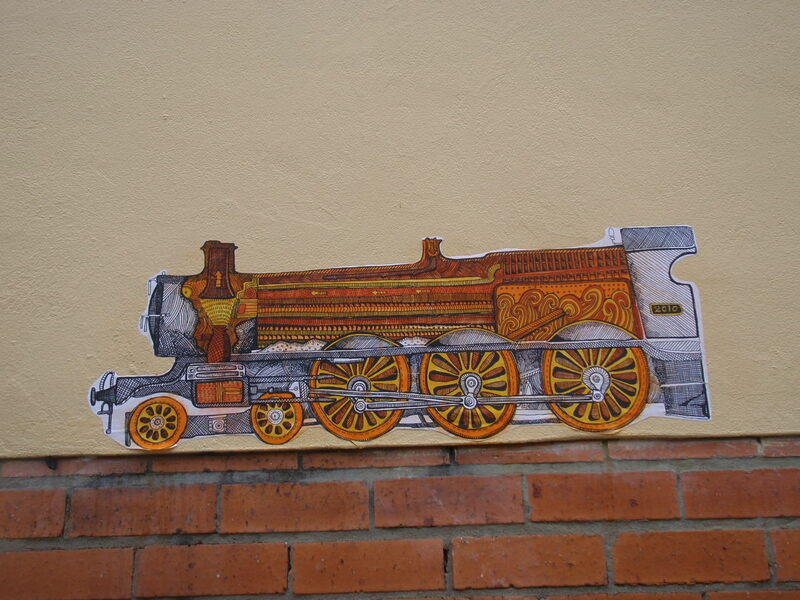 In the mean time I have put a paste up of a GWR locomotive on Morgan Street, rather close to Arthive. 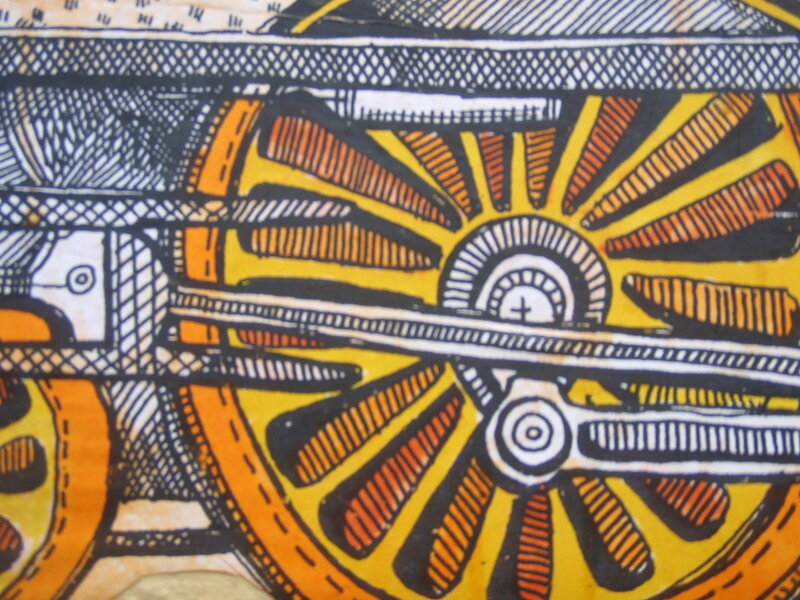 I hand coloured it and everything! You should go and have a look before some jerk pulls it down. This happened to my friend Trine twice this weekend, and I don’t think its very sporting. 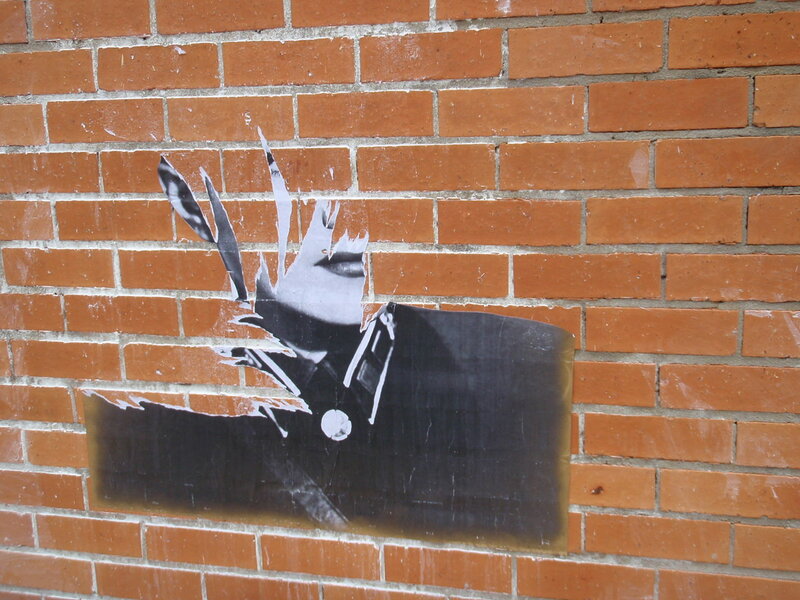 Trine wouldn’t rip your paste up off the wall!